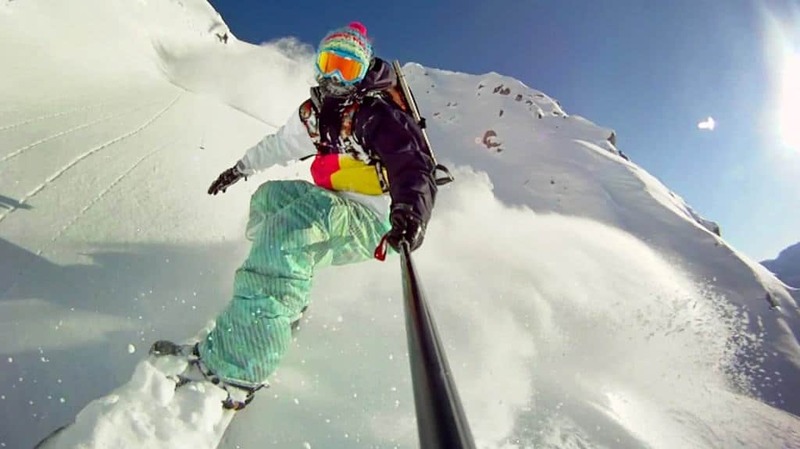 This picture gives us a great idea about the exact angle snowboarders have to tackle while taking on the adventure sport. The daunting volumes of snow surrounding the snowboarder, who looks fairly well equipped, adds another dimension to the image. 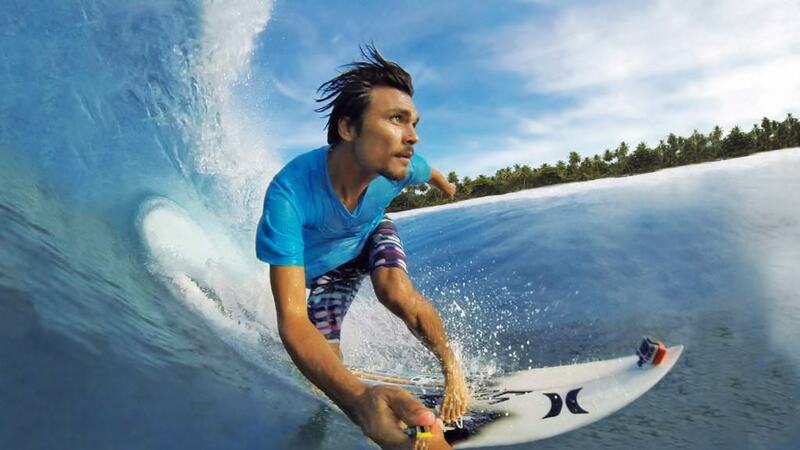 Surfing has to be one of the coolest activities in the world. For all the million times you have wondered how cool you looked while surfing, here is a great picture to summarize exactly how awesome surfing is! 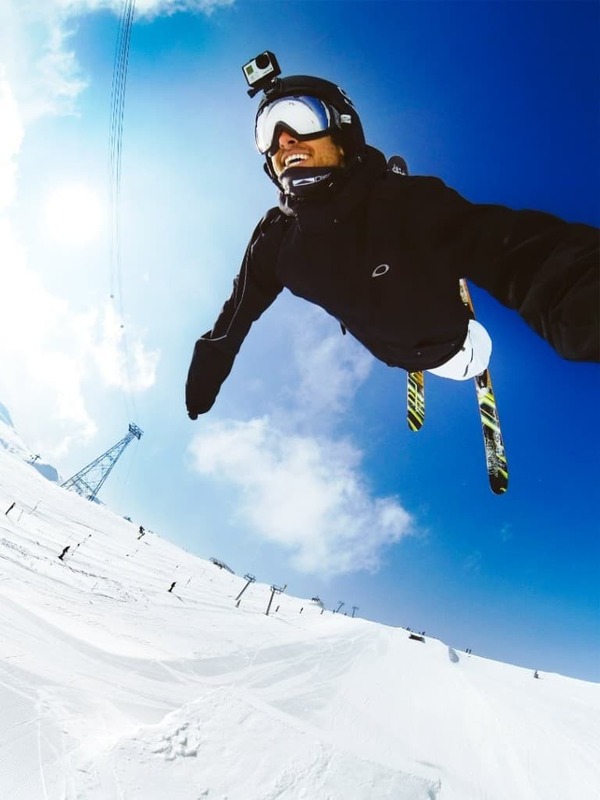 This man seems to be either completing a mid-air flip on his ski’s or he is about to fall hard onto the snow below! Either way, this is a great picture with nothing but snow, sky and a distant signal tower. 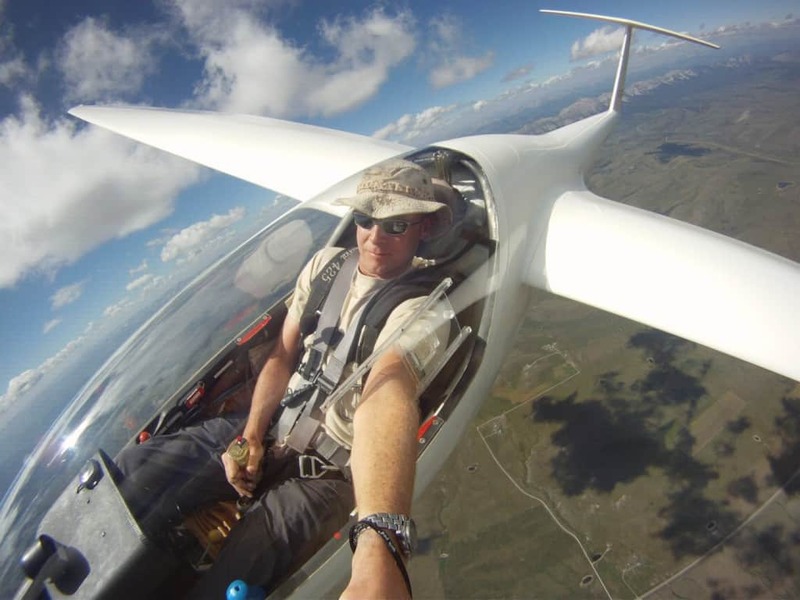 This man not only has a really cool single-seater plane, but he also has the selfie to prove it. It’s funny how he sticks his hand out of the plane to take the picture. 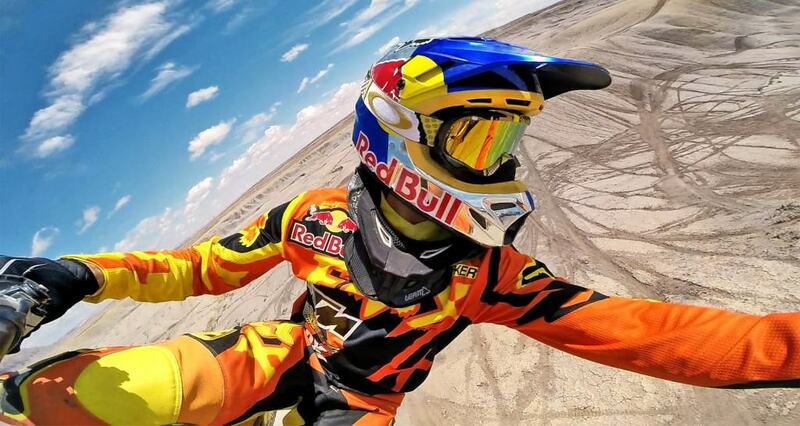 This dirt track rider seems to have hit the peak of his jump which seems like the perfect time to take a selfie. You can see a whole lot of tire tracks behind him, showing us exactly how busy this adrenaline junkie has been. This picture has a lot of great elements to it. 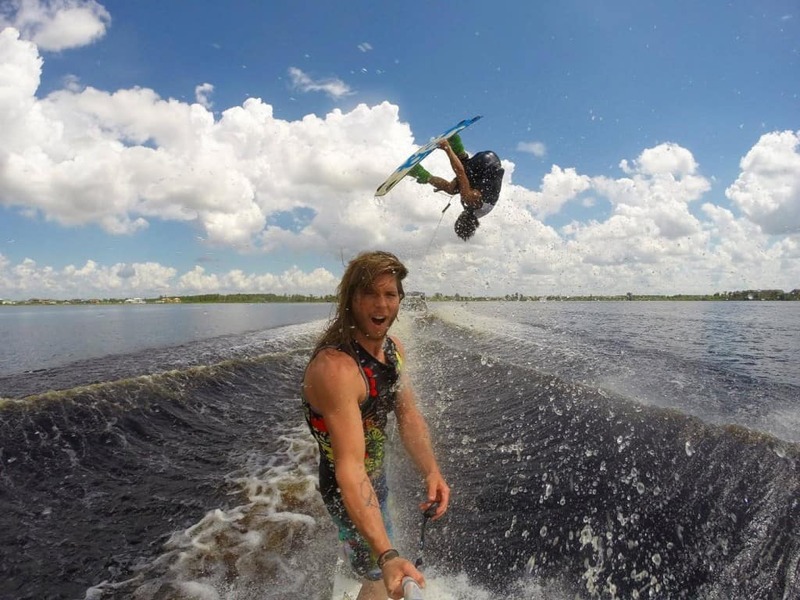 You can notice a beautiful sky in the background, the parting of the water due to the power boat, a person doing a flip on a board while another man takes a selfie. It must have been one amazing afternoon! The best part about any trek is making your way to a view that not many people have witnessed before. 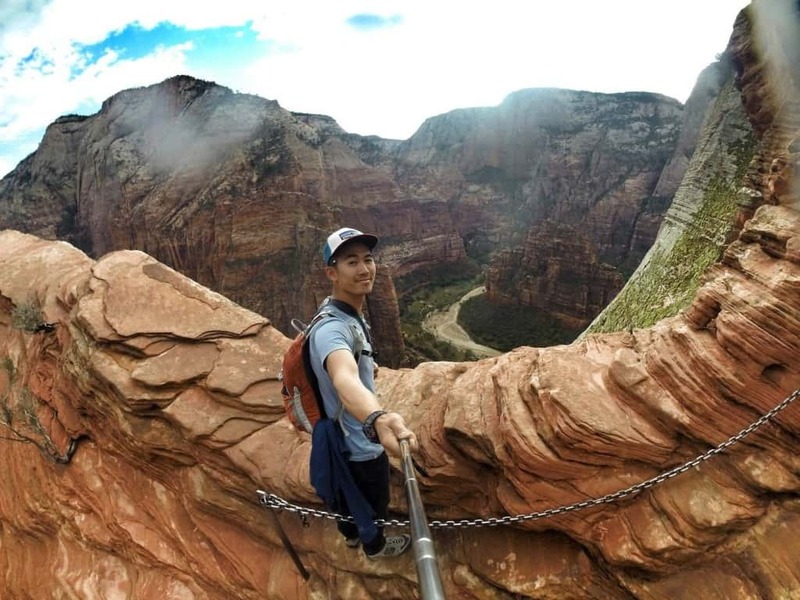 This brave man gives us a peek into the beauty of this canyon for the sake of all those people who will never make their way to this spot during their lifetimes. Yet another jaw-dropping picture taken by a kind adventurer. 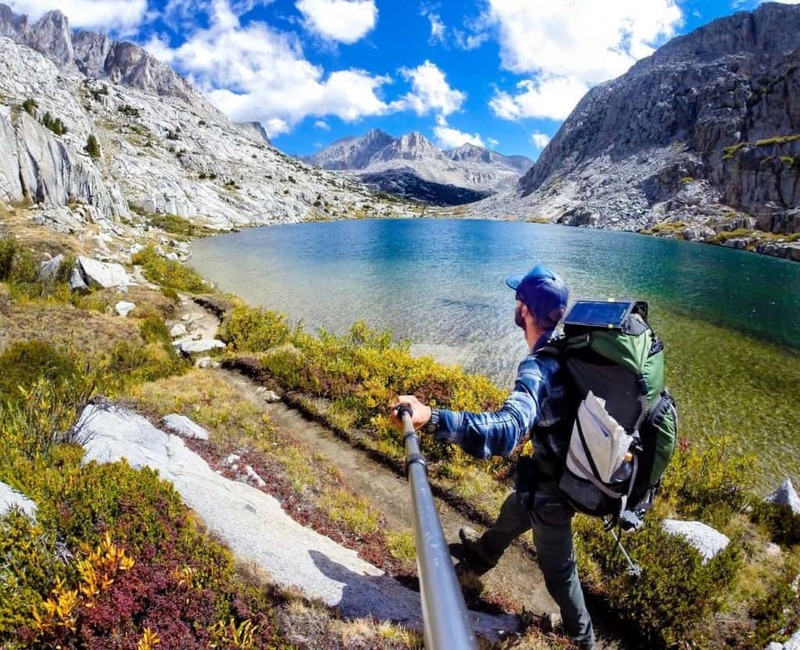 The good thing about a selfie stick is that we at least know who is to thank for capturing an amazing picture. 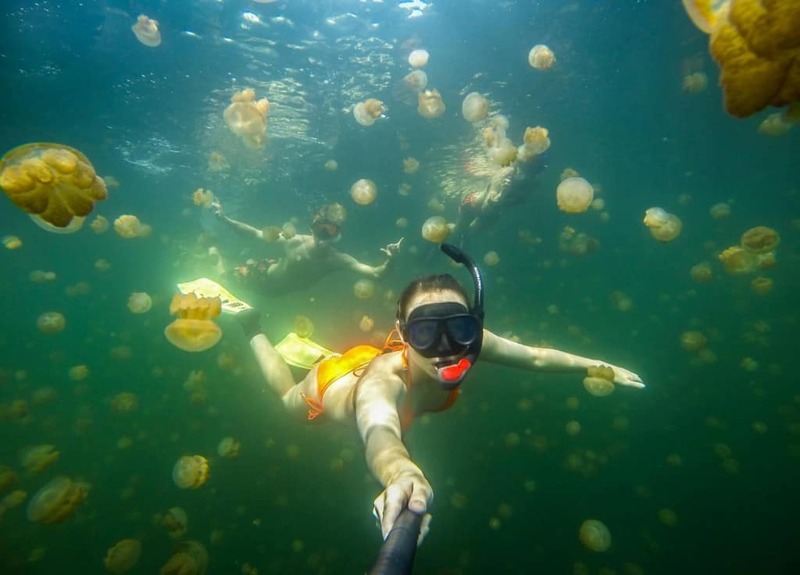 Life is busy and frantic, whether you live on the ground or underwater, as evidenced by this great picture. The variations of blue and green in the tones of the color of the water adds an aesthetic touch to this picture. 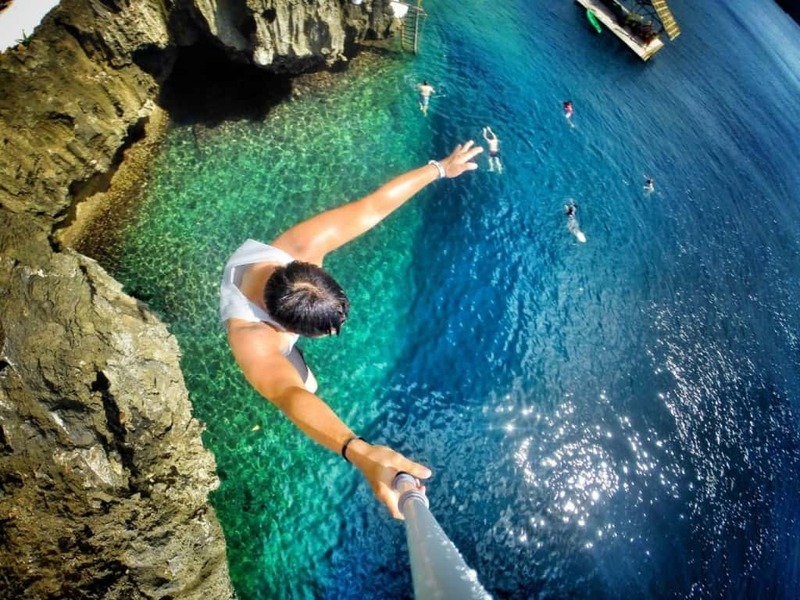 This picture gives us a great sense of depth as we can see this brave man jump boldly into a body of water from quite a height. We can also see his friends waiting at a distance amidst the sparkling seas. They say diamonds are a girl’s best friend but who needs that chunk of rock when you have an awesome dog and a selfie stick. 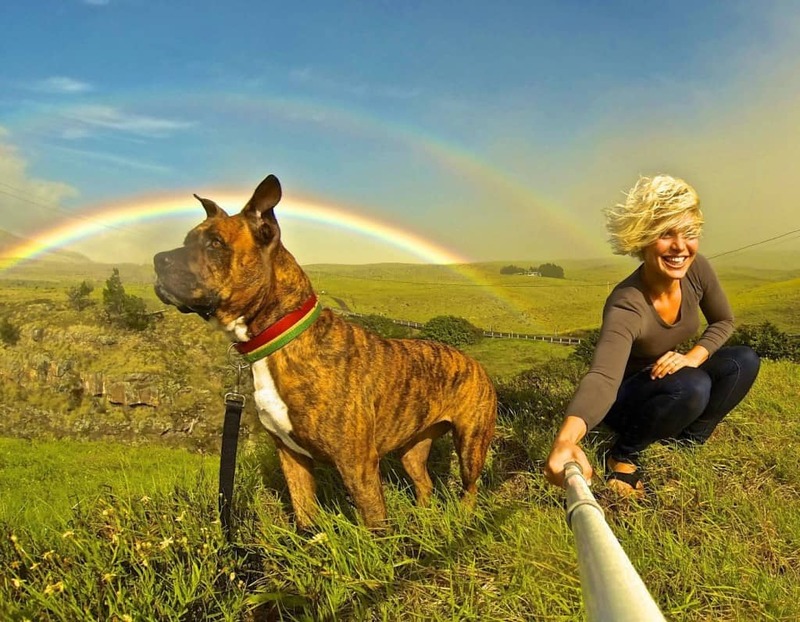 This delightful picture stands out because of the nonchalant dog and the rainbows in the background. These three friends seem to be having a great time hitting the slopes with their snowboards and ski’s. 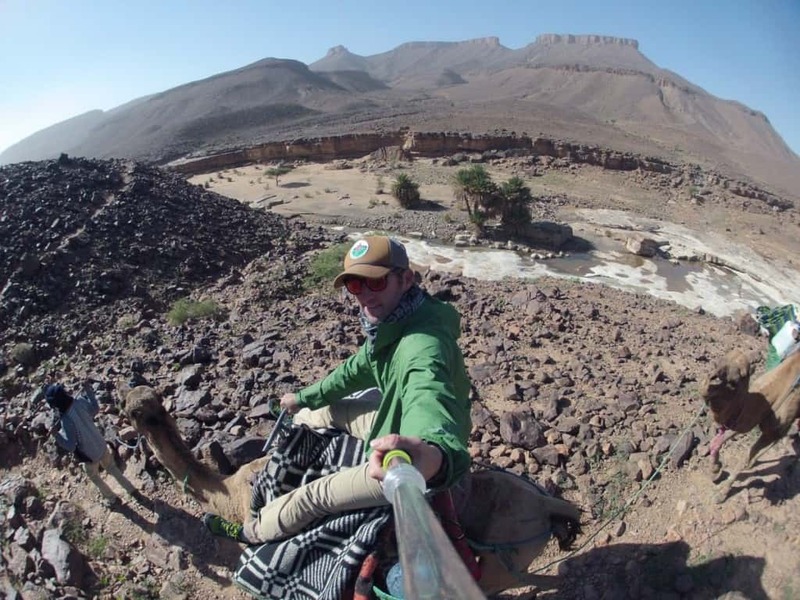 It is hard to take a dynamic picture such as this without the help of a tool like the selfie stick. I have no idea where these guys have taken this picture, but I see a cake which could only mean it is someone’s birthday. Someone try topping that as a location to cut your cake, I dare you! 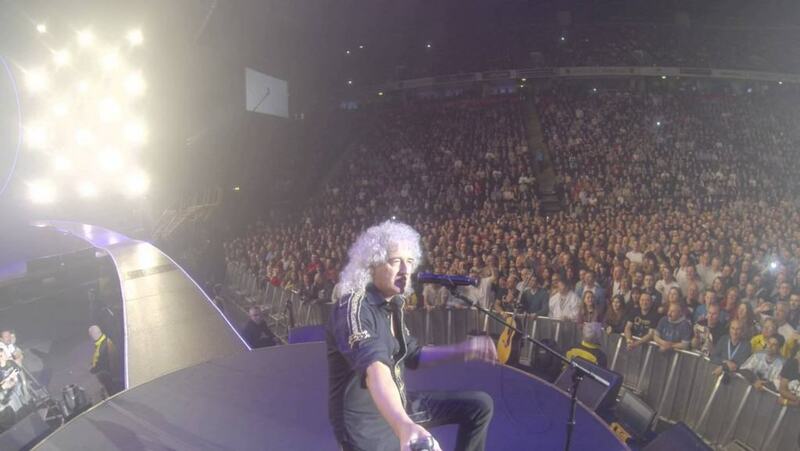 Singer Brian May has been known to carry his selfie stick around and take pictures during his concerts. Here is one picture taken by him during a concert in the UK. Tell me you wouldn’t trade places with the people in this picture in a heartbeat! They clearly just finished sky diving and are now merrily floating their way back to the ground. They even have an amazing picture to show for the experience. For every 10 people who use their selfie sticks to take pictures with their food, here is one great example of using the stick right. 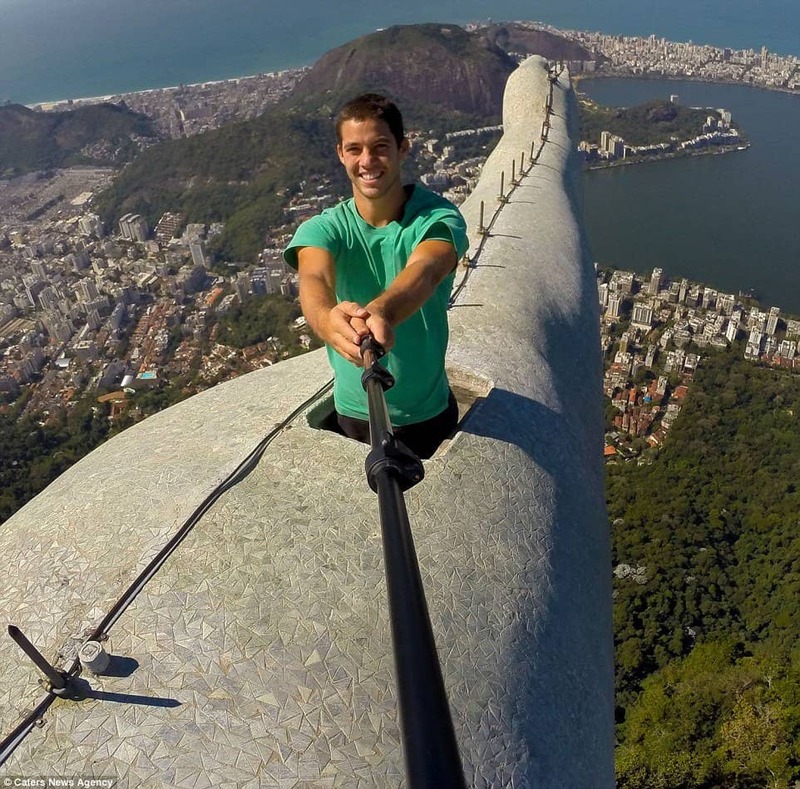 This amazing photograph was taken on one of the arms of Christ The Redeemer, the famous statue in Rio De Janeiro. 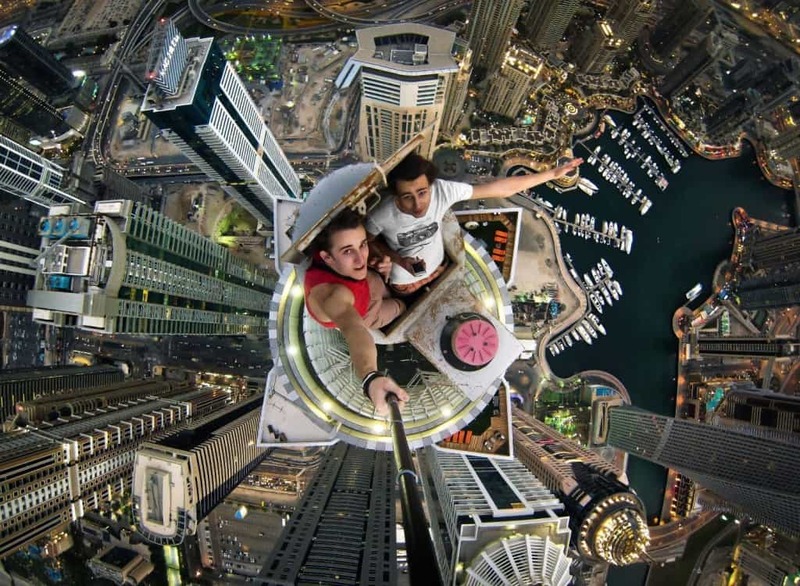 I have no idea how this man got up there, but man, what a view! 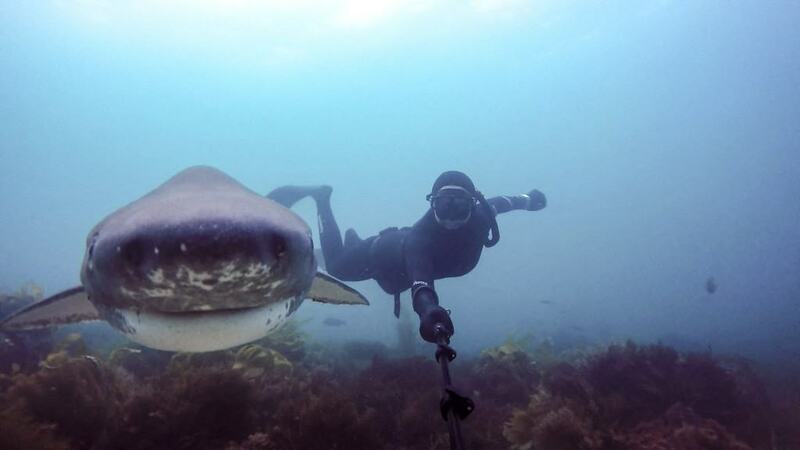 This picture actually features a person swimming with the sharks! It is not a metaphor for anything, just a brave person swimming beside a deadly fish. This well-taken photograph shows us a splendid view of a desert along with a group of travelers making their way through the arid land using camels. 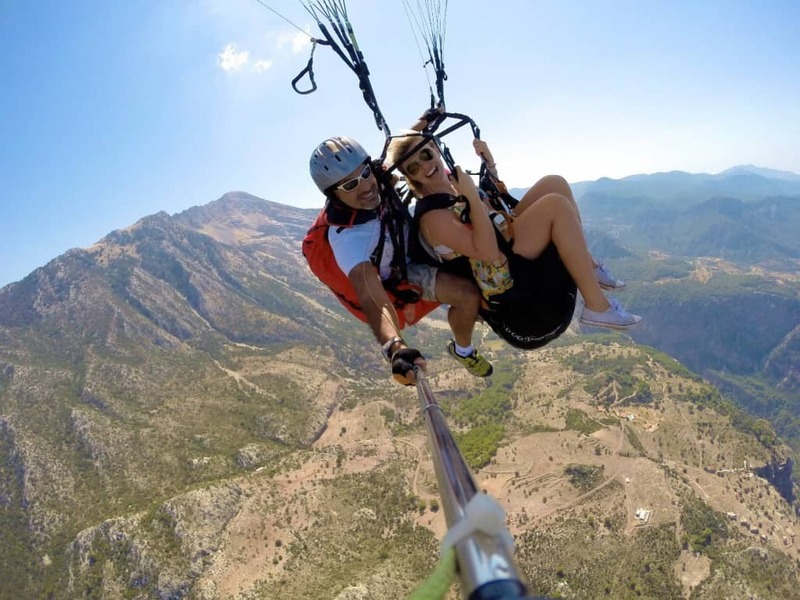 Despite the selfie stick, the image has an old-school feel to it. 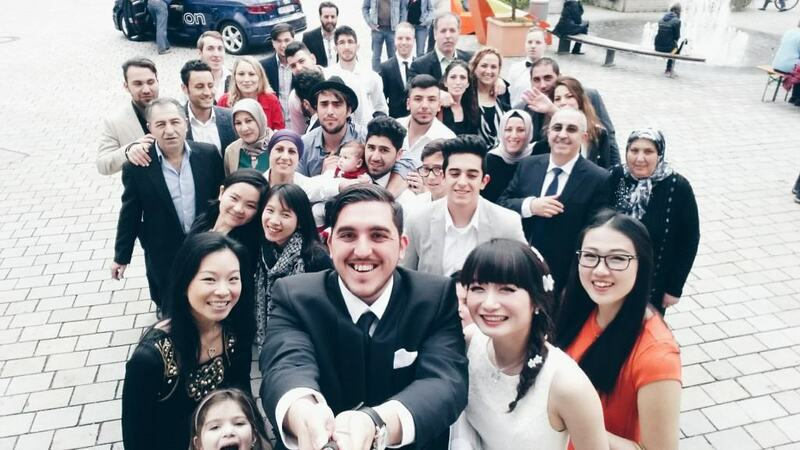 Taking a photograph with a large and intimate group of people is clearly a genuine use for a selfie stick. Sure, a day like your wedding day only comes around a couple of times during your lifetime, but its always good to have the selfie stick handy. 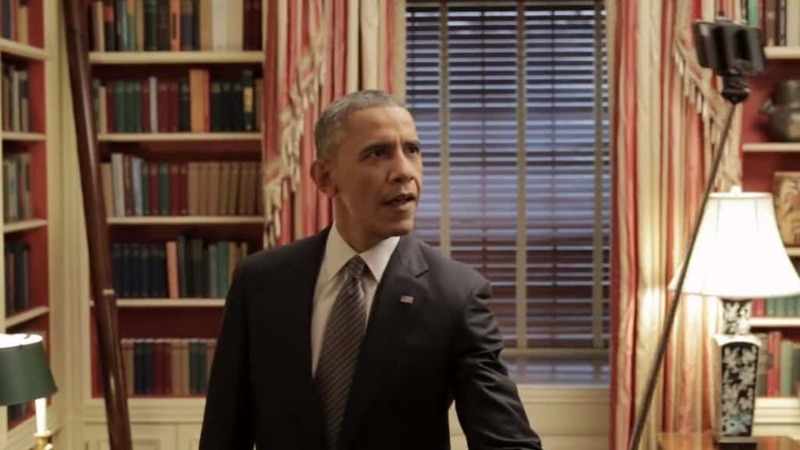 You know the selfie stick has seeped into our culture when the President of the United States uses it to take a picture. He is clearly the most ‘fly’ candidate to ever take the White House.